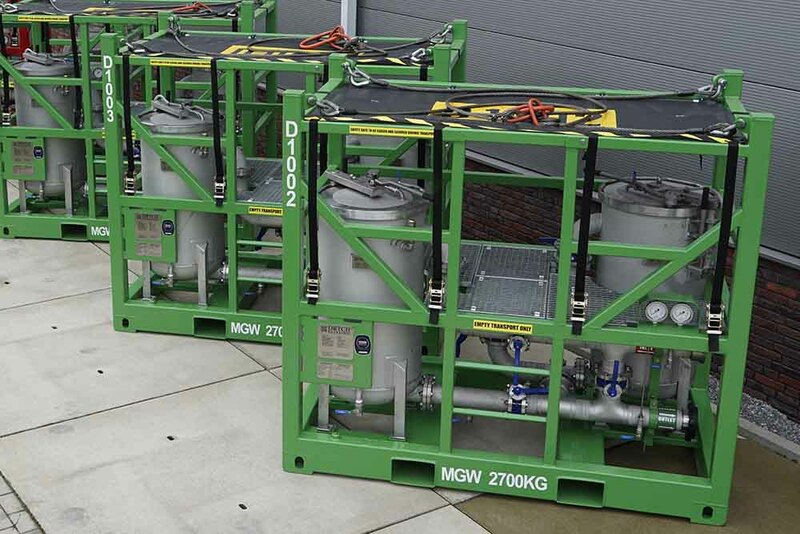 New innovative filter vessel opening-closure for oilfield use. Quick and safe opening and closure filter vessel. All our dual cartridge and bag filter units are manufactured including our own unique Rudi quick opening and closure. This complete new opening/closure system allows the filtration operator to quick and safe open / close the filter vessel for change out of filter consumables. Almost all of the cartridge filter units used in oilfield operations do have a flat lid with swing bolts and (eye) nuts. This traditional old design caused many issue’s with closing and opening the filter lid. Like lost nuts, damaged threaded swing bolts. It is difficult to position the lid to fit the swing bolt into the gap with using your hands close to the lid. Many fingers and hands have be injured between the heavy lid and top flange. 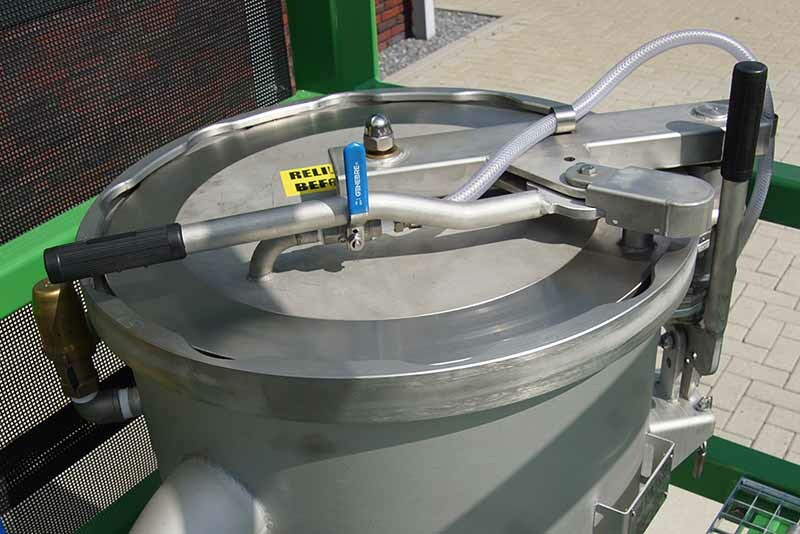 Our new design opening closure does not need any tool to open and close the filter vessel. Just release the pressure and one hand lever to rotate the lid, 2nd hand operate the push lever to lift de lid and swing away in 2 seconds. Vice versa to close.The unique gasket seals off the vessel 100% leak free.